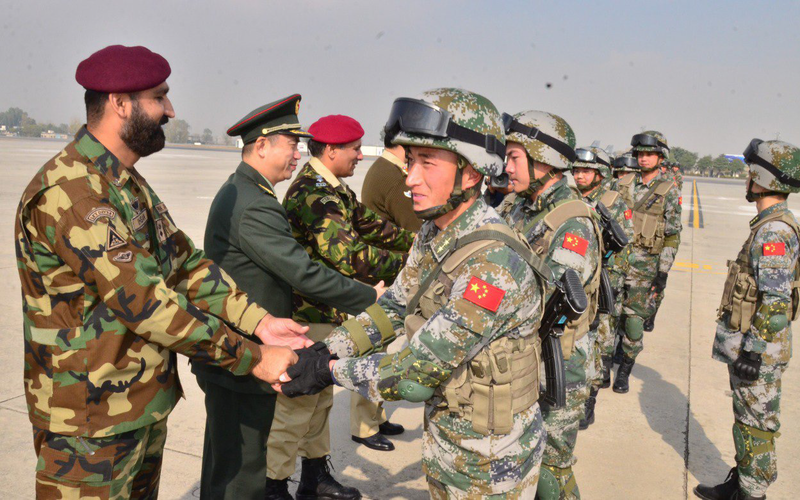 A special forces contingent of People Liberation Army China arrived in Pakistan on Saturday to participate in Pak-China joint military exercise ‘Warrior –VI 2018’. Troops of Special Service Group from both armies will participate in the three-week long exercise, said a statement issued by the Inter-Services Public Relations (ISPR). Focus of the joint exercise is to share respective experiences in the field of counter-terrorism operations and learn from each other’s experiences. This is sixth joint exercise of the series as part of bilateral military cooperation between both friendly countries. Earlier this month, Joint International Air Drill of Pakistan and China, Shaheen VII, also took place at an operational airbase in Pakistan. According to a Pakistan Air Force spokesperson, the Chinese contingent included pilots and air defence controllers. In September, a senior Chinese general told Chief of the Army Staff Gen Qamar Javed Bajwa that military ties between China and Pakistan are the ‘backbone’ of relations between the two countries.